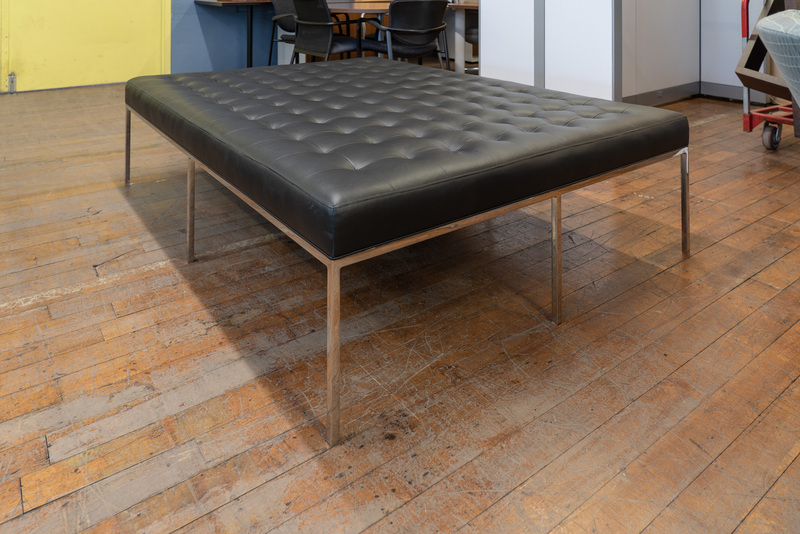 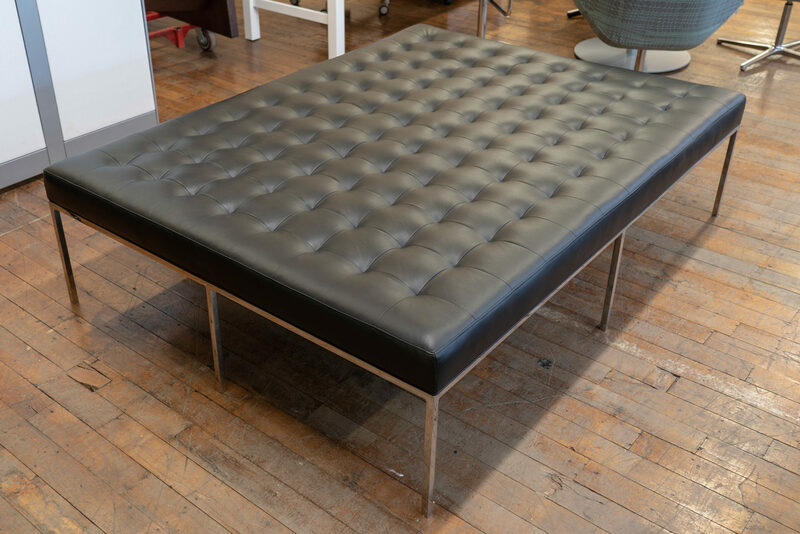 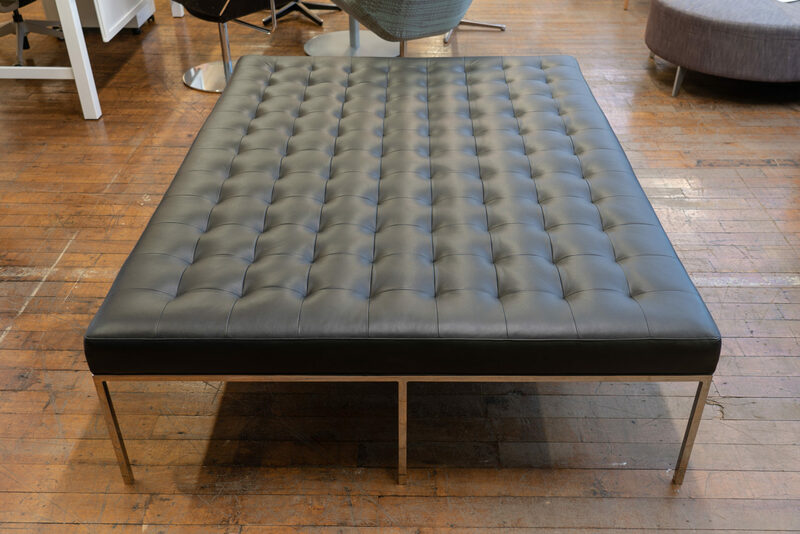 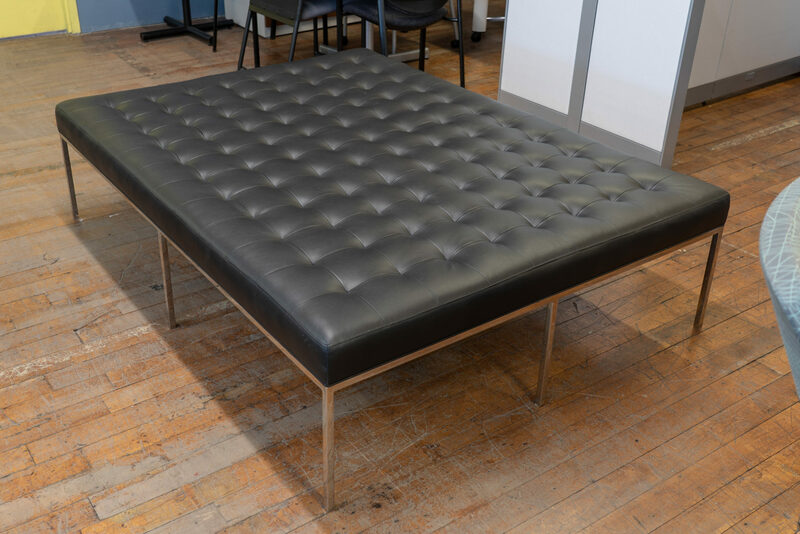 Custom Mid-century Modern Florence Knoll style tufted black leather bench. 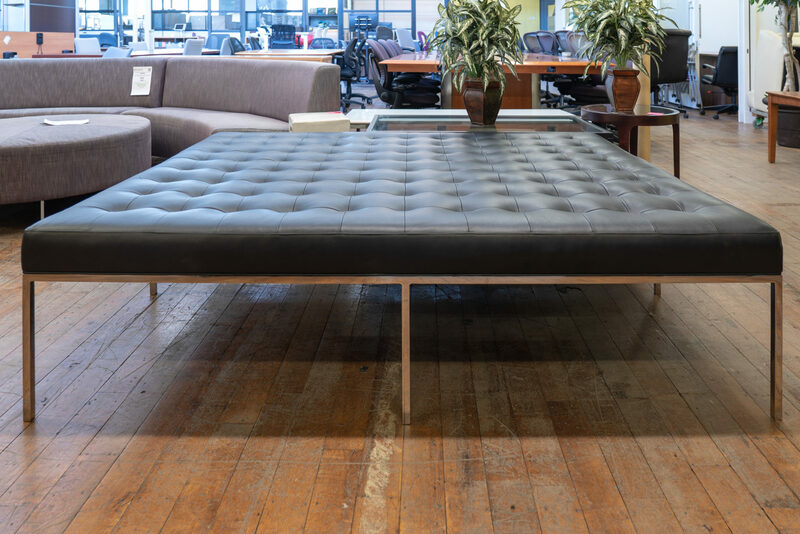 Seats 6 comfortably. 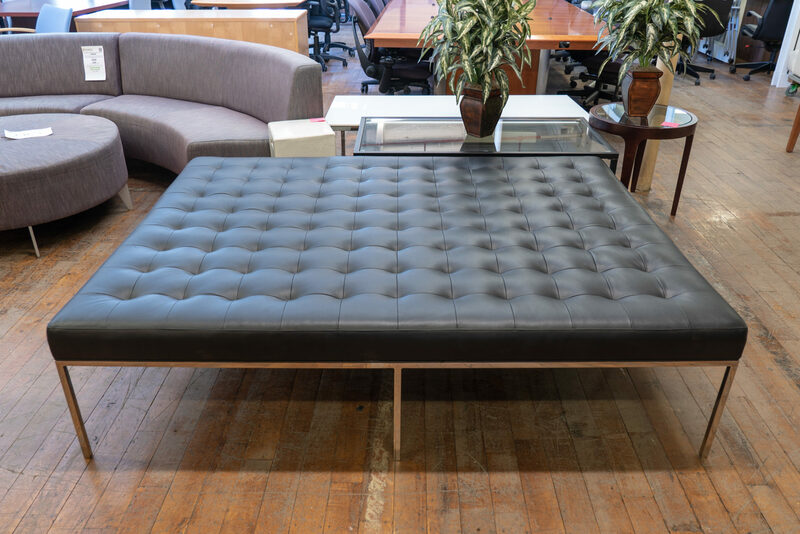 Like-New Condition.